For extreme scrap quilters. See Etsy.com/Shop/KarenGriskaQuilts for fun quilt patterns. 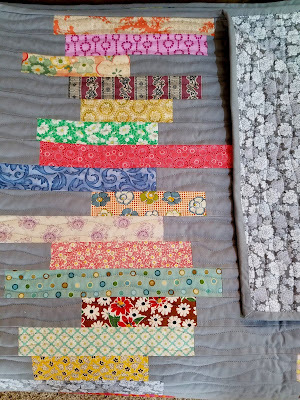 Take a look at this beautiful new Stacks quilt that Lisa made for her daughter, a book lover. 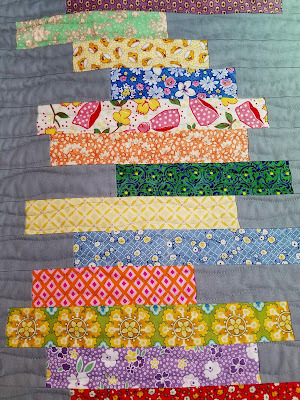 See my pattern here: The Stacks Quilt Pattern. Lisa chose a gray background for a softer look, and she added an additional stack of books because her daughter is a big reader after all. Nice job, Lisa! Interesting effects are created by pigment density disparities. Mix acrylic paints with water, pouring medium, and silicone oil. Some people mix silicone oil into only one color. Some use inks, heat, diluted dishwashing soap, or glue. So many factors at work, like Forrest Gump says, "you never know what you're going to get." Click on quilt to see Puzzle pattern. See my quilts in this issue! Get some coffee before clicking here. Make Fans the Fun Way! Click on image to see pattern. Instant download. Start creating now. Ten Years of Selvage Quilts! From all over the world. Click photo. Click to see post and close-ups. 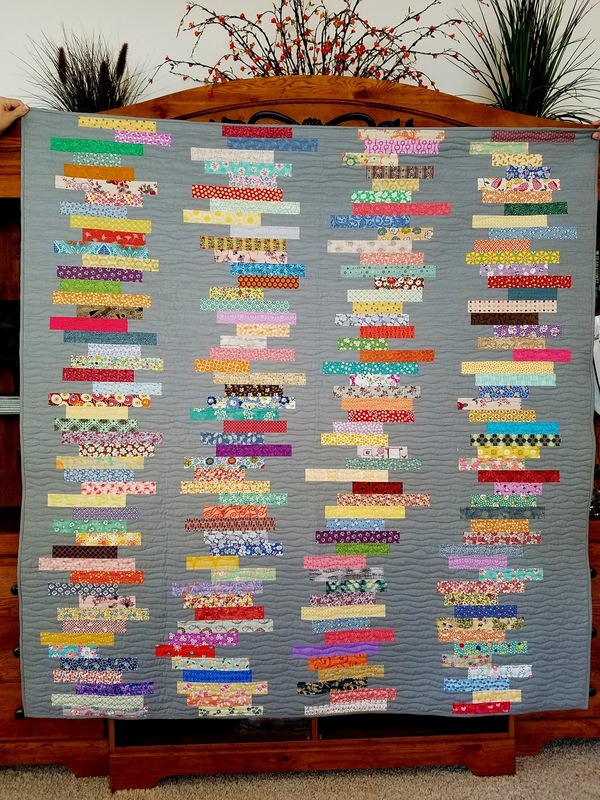 Click quilt to see details. Center medallion is my Etsy logo! Click to see quilts & patterns. Have You Made a Red Zinger? Click above. If you don't see your quilt, email a photo to me and I'll add it. How do you pin? Click here. Click above to see the pattern. Do you sew with your shoes on? by Jodie Carleton of Australia... Click on dress to see post. Red Zinger Selvage Quilt Pattern! Add the ones you remember. Click on cartoon for more. Selvage Blog is in Quiltmania! Welcome to our Quiltmania readers! Save your empty spools in 2018! Tell us your # in December. What Color is Your Brick Road? Click on quilt to see details. Got scraps? Start creating now! Click photo to see more. What's the funniest thing anyone has said about your quilts? Read them here. Add your story. See all 17 posts at once. Help yourself to this button. Simply fold raw edge back. Sew. Quilt-making is my passion. I love the creative process. Why "Selvage Quilter?" See my book: "Quilts from the Selvage Edge" published by American Quilter's Society. Be sure to visit my shop: www.Etsy.com/Shop/KarenGriskaQuilts. My husband and I live in the beautiful hills of Litchfield, Connecticut. We have two grown sons: a photographer in NYC, and a retailer/artist in CT. Our DIL is studying to be a Physician's Assistant. We enjoy hiking, photography, watching movies, eating pizza, and visiting with family. See my quilt on page 43! Click on book to visit Amazon. What next, a selvage covered lamp? Click on the lamp for how-to info. Click above for easy "how-to." Click on parasol to see post. Click photo to see post. Click on photo to see post. Click on card for easy "how-to." 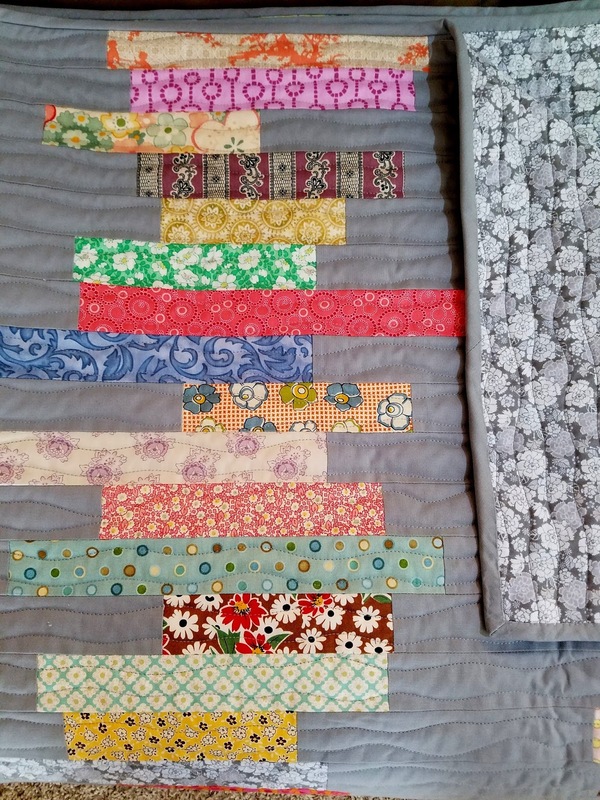 We want to see what you're making with your selvages!